Visit Andy's on January 31st! Please visit Andy's on January 31st! 10% of all proceeds will be awarded to FHSA. 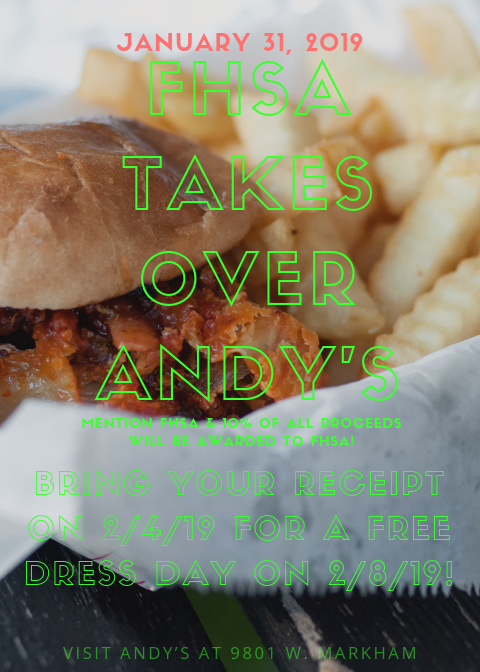 Any student with a receipt should turn in the receipt to FHSA on February 4th in order to participate in the Free Dress Day scheduled for February 8th.